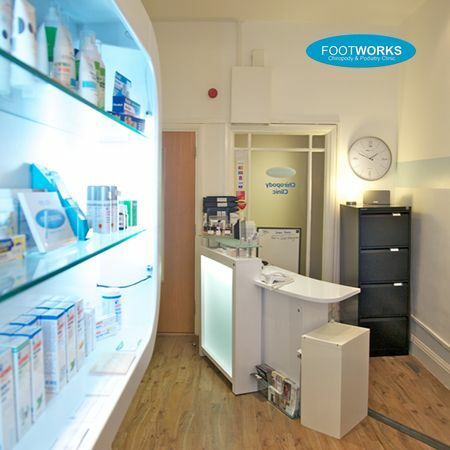 Footworks Chiropody and Podiatry Clinic, established in 2005, is ideally located in the heart of Birmingham City Centre. Open Monday-Saturday we offer 8.30am, lunchtime and late appointments. Situated above the Body Shop overlooking New Street. Lift access to the first floor Burlington Court is via Lower Temple Street next to Starbucks. Stairs access is via Burlington Arcade next to Watches of Switzerland. All Chiropodists at Footworks are registered with the Health Professions Council. All have completed a three-year degree course in the specialism of Podiatry and have 50 years of combined experience, both in the NHS and private practice. We pride ourselves with providing expert care and attention on all aspects of foot care. We specialize in the medical pedicure, a real attention to detail chiropody treatment! Incorporating foot health, chiropody treatment, luxury pampering and gel nails finish. "Oooh I feel like I have new feet, yey, its like walking on clouds now. Lucy is brilliant at her job, highly recommended. "
StumbleUpon / Digg / Delicious / Technorati / Tweet / Myspace / Readit / Facebook / Share This! All our Chiropodists are members of The Society of Chiropodists and Podiatrists and are committed to continual professional development as regulated by the Health Professions Council. More importantly, we're friendly, approachable and understanding and want your experience with us to be one that you enjoy, as well as being one that helps. Rachael Shaw has over 20 years experience and specialises in nail surgery and biomechanics. Helen Lutwyche is passionate about Podiatry, her patients and foreign travel. She is currently studying a Level 5 Diploma in Reflexology, to add to her Podiatry practice. Ian Rogers has recently joined the Footworks team and is doing exceptionally well. His passion for healthcare and patients is very evident in his everyday practice. Andrew Whitehouse is our newest practitioner and he has fast become an invaluable team player. © 2008 - 2019 Footworks Chiropody. This website aims to be standards compliant and accessible to all users. Web Site Design by Stunn Ltd.